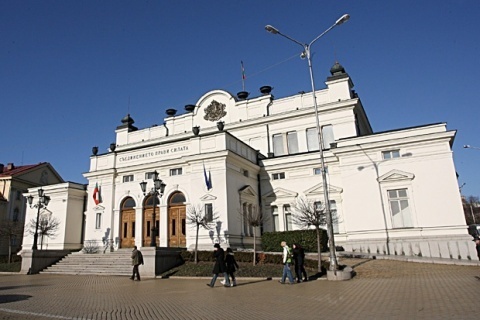 The seats in the 42nd Bulgarian General Assembly will, after all, be divided equally between the Socialists and ethnic Turks on one side, and the centrist GERB and the nationalist Ataka on the other, the election body announced in a final statement. The final vote count results mean that the line-up of both camps fall short of the 121 seats needed for a majority and the formation of a government. The data was released on Wednesday after the Central Electoral Commission, CEC, processed 100% of the ballot protocols from the country and 100% of those from abroad and calculated the MP mandates for each of the four parties, which passed the 4% threshold. Results from the May 12 early general elections show that four Bulgarian parties made their way to Bulgaria's Parliament. They are: the center-right Citizens for European Development of Bulgaria, GERB, party of former Bulgarian Prime Minister, Boyko Borisov, the Bulgarian Socialist Party, BSP, the ethnic Turkish party Movement for Rights and Freedoms, DPS, and their self-proclaimed arch enemies - the far-right nationalist Ataka (Attack). According to the final CEC count – GERB + Ataka will have together 120 seats and DPS + BSP – another 120 in the 240-seats unicameral Parliament. GERB has 30.50% of the vote, BSP – 26.61%, DPS – 11.29%, and Ataka – 7.30%. The number of MP seats each of the four parties have won are as follows – 97 for GERB, 84 for BSP, 36 for DPS, and 23 for Ataka. Stunningly for many, none of the oldest "hardline" right-wing formations are going to be in the next Parliament. From the right-wing parties, which are credited with throwing out the ex-communists who had pushed the country to the brink of financial crisis in the 90s, only Democrats for Strong Bulgaria, DSB, of former Prime Minister Ivan Kostov came the closest, but still garnered only 2.92 % of the vote. The right-wing Bulgaria for Citizens of former EU Commissioner, Meglena Kuneva, was also close to the 4% threshold, but failed to pass it with 3.35%. The nationalist National Front for Salvation of Bulgaria garnered 3.71% of the votes. Some of the other parties below 4%, among the total of 38 parties and 7 coalitions, which joined the race, are: the other nationalist VMRO, the Center - Freedom and Dignity, which is a coalition between the party of former Tsar and Prime Minister, Simeon Saxe-Coburg and of ethnic Turkish politicians (Kasim Dal) who left DPS, the right-wing Union of Democratic Forces, UDF, the Greens, and the Coalition Gorda Bulgaria (Proud Bulgaria) of MEP, Slavi Binev.